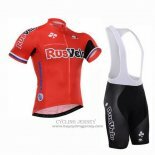 Gazm-RusVelo (UCI team code: GAZ), part of Russia's global cycling program. It was established in late 2011 and awarded UCI fessional Continental status. 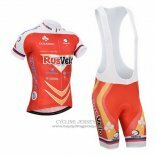 Rusvelo cycling jerseys is made of high quality, breathable fabric to give riders a more comfortable experience. Behind three large capacity pockets, you can take everything you want to take away. 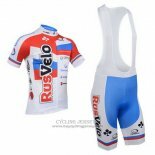 If you are interested, welcome to buy Rusvelo cycling jerseys.